Do I need this course to go contracting? No, you have other options. You could spend your time reading all of the books, doing all the research, gathering all the facts and doing all of the leg worth yourself. You could then take the plunge and hope you do not make any expensive mistakes. That is a legitimate option: it is how I did it! And there are no scare stories here. I have never "lost" money. But I have done things that I could have done different, and been thousands of pounds better off. The Master Class allows you to avoid all of the hard work and research. We get you up and running as fast as possible, and show you how to avoid expensive mistakes. In time and money saved, the course offers a great return on investment. But do not just take my word for it: try it out and see for yourself. Yes. You can sign up for free and get access to the first five lessons. 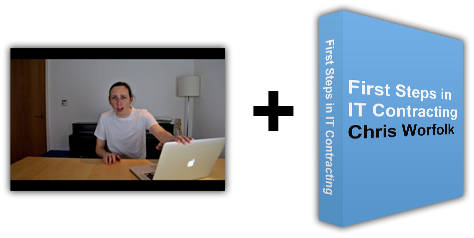 Is contracting right for me? We cannot give you an exact answer to that because it depends on your personal circumstances. However, the free course material covers whether contracting is for you or not, so you will be able to make an informed decision before signing up for the premimum content. It is free to sign up for the first five lessons. After that, there are different options you can sign up for depending on how much support you would like. We would love to hear from you! Send us an email and we will be happy to get back to you with an answer.